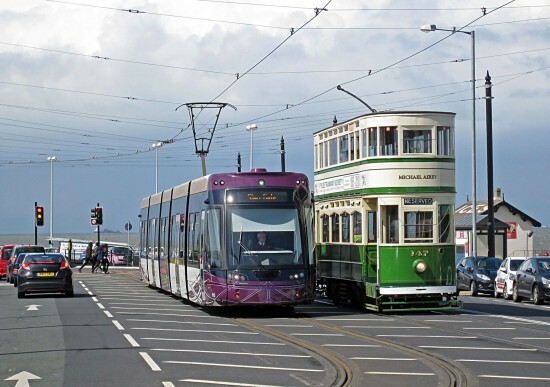 As we have previously shown you on these pages the recent May Day Bank Holiday weekend was another successful period of heritage tram operation in Blackpool with the highlights being the return to service of Brush 631 in its new livery and Balloon 701 for the first time since 2010. 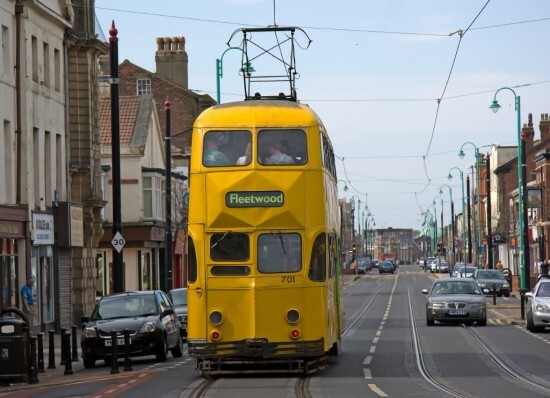 But that weekend has not been the only occasion recently when heritage trams have escaped from Rigby Road with Frigate 736 noted running with a party of schoolchildren on Wednesday 8 May and Standard 147 running through to Fleetwood on Saturday 11 May on a private hire. Alan Taylor has kindly supplied us with photos of 701 in use over the Bank Holiday weekend and of 147 at Fleetwood Ferry. On 6 May Balloon 701 heads down Lord Street whilst operating on the Heritage service. I think you mean bobbing and swaying!